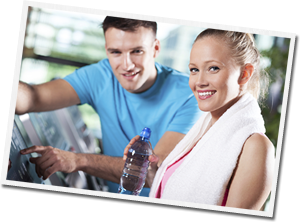 Get fit and have fun at Hampton Sports & Fitness Centre. Why not try one of our great fitness classes. It’s the original dance-fitness party! Are you ready to party yourself into shape? Forget the workout, just lose yourself in the music and find yourself in shape at the original dance-fitness party. Zumba classes feature exotic rhythms set to high-energy Latin and international beats. Before you know it, you’ll be getting fit and your energy levels will be soaring! It’s easy to do, effective and totally exhilarating. Our Zumba classes are available on Thursday 8.00-9.00pm and Saturday 9.00-10.00am. A fun and aerobic workout using stationary bikes and motivating music. If your goals include weight loss, improving cardiovascular performance and endurance or strengthening and toning your legs, then this class is for you. 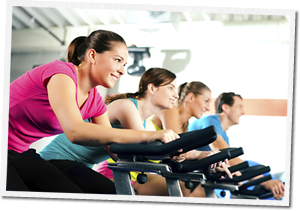 Spinning is suitable for all fitness levels from complete beginners to elite athletes. This class is also ideal for participants looking for a high energy workout with very low impact on the joints. Our spinning classes are available on Wednesday 8.00pm and 8.45pm and Saturday mornings at 10.15am. Pilates is an exercise system that focuses on stretching and strengthening the whole body to aid balance, muscle strength, flexibility and posture. It was created by German born Joseph Pilates in the early 1900s and incorporates elements of yoga, martial arts and western forms of exercise. Pilates can help improve posture, muscle tone and flexibility, core strength and joint mobility, as well as relieve stress and tension. Our Pilates classes are available on Monday 7.00-8.00pm. Other fitness classes at Hampton include Yoga, aerobics, legs, bums and tums, body flex, circuits and basic step and tone. Don’t forget if you’re a direct debit member then all of our fitness classes are free. So come along and give them a try! Click here for more information or contact the centre reception on 020 8090 0668.